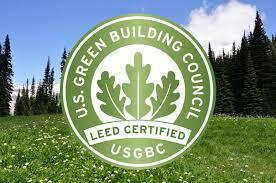 What does “LEED Certified” Mean? Being a LEED-certified builder or remodeler is one of the ways individuals and companies differentiate themselves. You may notice builders and buildings representing themselves as LEED certified or LEED buildings, with designations including Silver-, Gold- or Platinum-level certifications. These standards often go beyond building codes; LEED Certification lets the public know that you are committed to doing what you can to ensure our planet’s future. This makes property especially attractive to those who feel similarly. Other benefits of LEED certification include reduced maintenance costs, reduced waste during construction, and a number of government and local rewards/incentives offered in hopes of promoting sustainability and clean building practices. LEED certification is attractive to homeowners who are looking for methods to cut down on their electric bill. The design standards predict a 30%-60% cut on energy use in LEED certified homes. These homes also tend to sell for higher rates and are increasingly sought after in the housing market. What Types of Projects Can Be LEED Certified? The primary process for certification requires two applications: one for the designing portion of the project and one for the actual construction. Both are looked at and evaluated by a third party who is certified through the Green Building Certification Institute. The team will look at the project’s compliance with the applicable standards, awarding points for standards met. LEED Certification starts at forty points, and as points increase, so does the rating awarded. While LEED is gaining ground around the world, particularly in the United States, Canada, and Sweden, not everyone is on board. Check to ensure your area allows for LEED certification. Residents in Maine, Mississippi, Georgia, and Alabama currently cannot obtain certification. If you would like to know about what LEED certification means or would like to consider the benefits LEED construction can offer, Först Consulting Group will be glad to speak with you. As construction experts we can help you choose the right LEED-certified builder, provide inspections throughout the building process, or oversee your construction project on your behalf. If you have a complaint or dispute with your builder, contact Först Consulting Group to offer a second opinion along with a detailed inspection report of the problem in question. You don’t have to undergo a construction project along, with Först on your side. Contact us today.